I am praying for them. That's all you can (do), I guess. Pray that those soldiers get in there and get to help them. 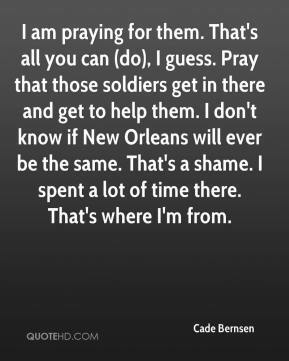 I don't know if New Orleans will ever be the same. That's a shame. I spent a lot of time there. That's where I'm from. It was worse than anyone would imagine. It's a nightmare. 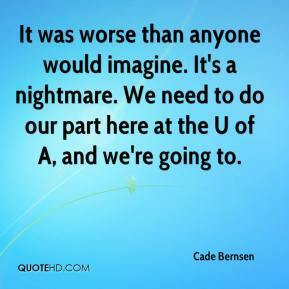 We need to do our part here at the U of A, and we're going to. 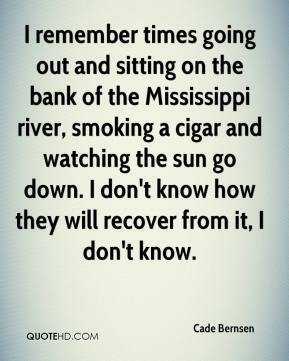 I remember times going out and sitting on the bank of the Mississippi river, smoking a cigar and watching the sun go down. I don't know how they will recover from it, I don't know.